The Institute for Chess Excellence seeks to develop and offer best of kind education and training programs to the chess communities in Malaysia and the region. 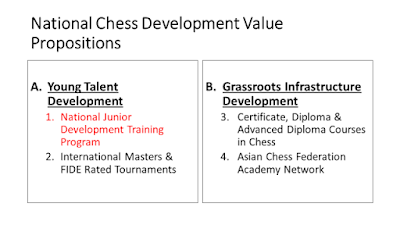 Our comprehensive range of offerings include supporting providers of lessons for beginners to conducting talent development programs to organising tournaments for all levels to the training of chess officials, organisers, arbiters and teachers. We are a member of the Asian Chess Federation Academy Network and are also the Malaysian Chess Federation’s National Chess Academy. 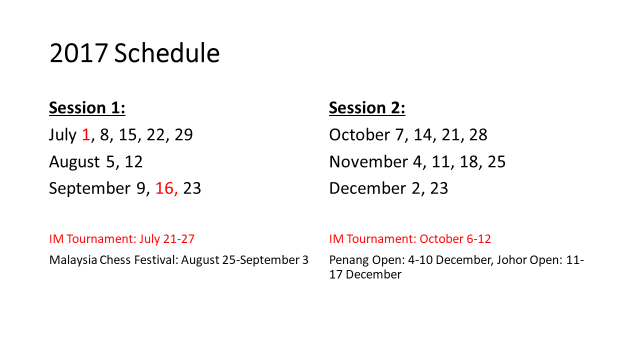 The Institute for Chess Excellence is headed by Malaysia’s first FIDE Trainer, International Arbiter and FIDE Master Peter Long, who is an internationally recognised expert in chess, having been an organiser, arbiter, trainer and player at all levels of the game for over 40 years. There is no questioning the available talent in Malaysia but at the same time there is also no doubt that generally they are not developing as they should. 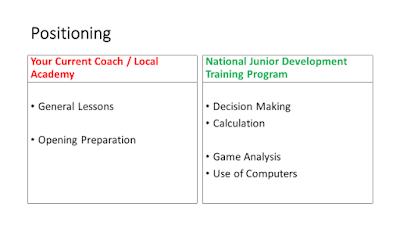 One challenge is of course the opportunity to participate in the right type and level of competition but increasingly so it is the lack of access to high level systematic training. “Chess lessons should not reduce merely to an expansion of knowledge – opening, middlegame or endgame, specific or more general. There is another aspect of improvement, no less important than the assimilation of information – I am talking about skill in employing your knowledge, the ability to take correct decisions in a variety of situations, arising on the chess board. This too will be our approach – purposeful training – the method of deliberate practice which is well known from other spheres of life and especially in sport. 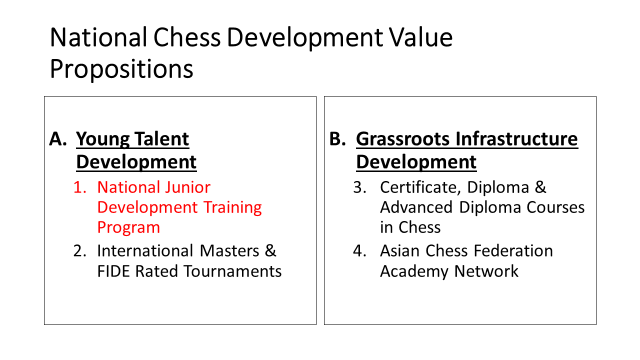 In our program we are looking develop three core groups, each of which requires special attention at their stage of development and which both separately and together are the future of Malaysian Chess. Remember, the most important attribute for participation in this program is interest, and in time, capacity for work! 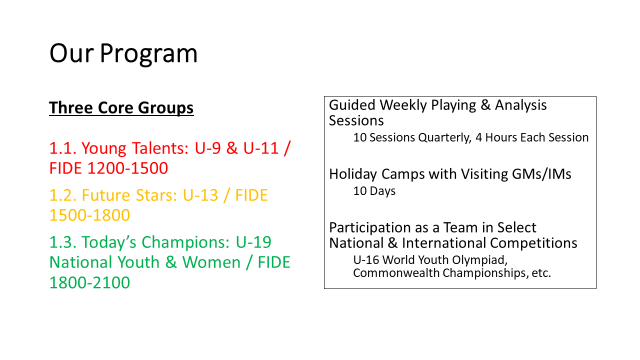 Local coaches (and even the visiting foreign players from the region) need not fear as we are not trying to offer general lessons or even opening preparation, but are instead looking to increasing the competitiveness of our best young prospects. In short, we offer the tools, techniques, and methods while promising the hard work needed to excel on the international stage! 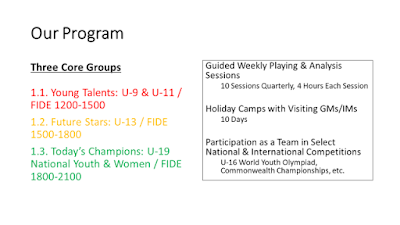 The above are the initial dates which have been proposed around Saturdays - with Young Talents from 1-5 p.m. and Future Stars and Today’s Champions from 6-10 p.m. - but we are flexible with the dates and also are agreeable for any change of timings needed to accommodate the majority. 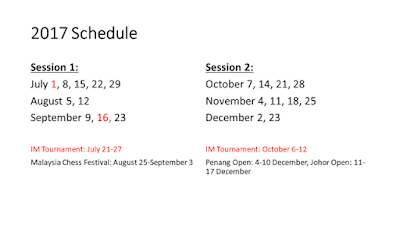 On Sundays we are proposing to organise Category Grading Tournaments which will also provide valuable practice, plan to have a FIDE (International) Rated Tournament each month to provide international rating opportunities, and will be organising IM (International Master) Tournaments every quarter. 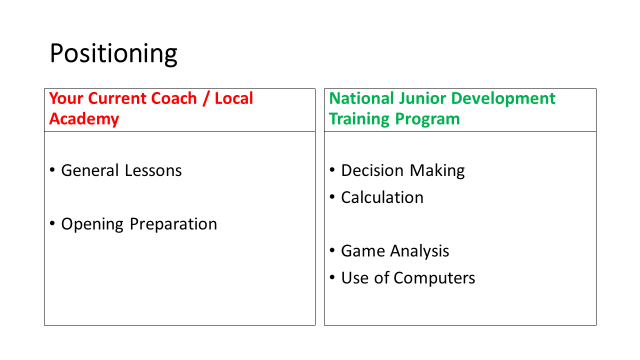 If you interested to participate in the National Junior Development Training Program, please email me at peterlong@aol.asia to book your place.